Ok ok this is something I've been meaning to write about for several days but I just haven't gotten to it until today. Boooooooo!!! Healthy food blows. That's what I thought for the longest time. There was always the idea in the back of my mind that I needed to get it together. Eating Eggos and lucky charms regularly for dinner was not only a sign of my immaturity and laziness but it was also pathetic. Yes, it was easy and convenient, but the amount of sheer crap I was giving my body was unreal. I was making all the wrong choices and unfortunately, they were starting to show. I got comfortable with the way I looked (didn't like it one bit- just accepted it). And then there were the blood sugar issues. Yall, they were out of control. Years ago, my super healthy primary care doc diagnosed me with hypoglycemia. A condition where my blood sugar bottoms out in a matter of minutes-leaving me feeling so weak that I could throw up. The temporary fix? Eat something with sugar like cookies or crackers. The prevention method: continuous small snacks throughout the day. You would never see me without a granola bar or bag almonds. It was obnoxious, to say the least. And the effect? A nice spare tire around the mid section. NOT cute. So I grew to accept that this was just the way it would be for me. Until I realized it didn't have to be. One of my FAVORITE bloggers is a die hard paleo girl and she posted photos of paleo meals so frequently on Instagram with such enthusiasm that I couldn't help but be suspicious. 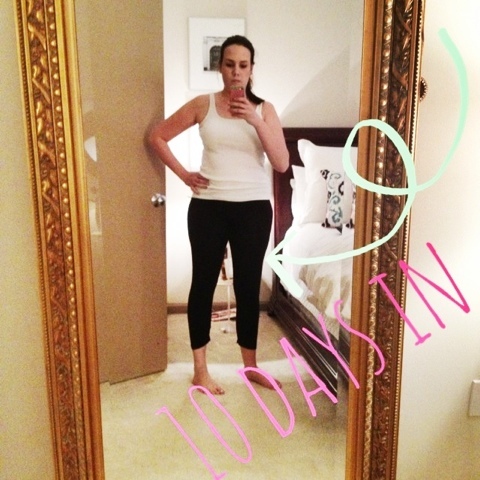 These days there are ten thousand diets that people rave about. You've heard it all:low carb, no carb, no sugar, no meat, no sodium, no dairy, cayenne pepper and appe cider vinegar, ten small daily meals, one big meal, liquids only...the list goes on and on. And to be honest, I put paleo into that big pile. But the pictures kept coming and my curiosity continue to grow. So I researched. I bought several books. I started reading paleo blogs. I followed paleo Instagram accounts and I noticed something. The food looked amazing. And then there were the success stories that were all over the place. Succces in weight loss, health conditions, preventative medicine...I couldn't ignore them. So I did it. I cleaned out my pantry and fridge and throw away so many yummy items. Bye bye Oreos. See you later cinnamon toast crunch. A trip to the grocery store was next. And I'll be 100%honest...it was hard!! I found myself naturally pulled to all the inner aisles. Each time this happened (and it was a lot!! ), I had to stop, look at my list and mentally remind myself that things are a'changin for this girl. It took about three times longer than my typical grocery visit but I did it. I combed the perimeter of the store a few times to be sure I didn't miss anything. I came home with the most bizarre items (more on that soon). Ten days in and here I am. I won't sugar coat it. My heart is racing thinking that I'm putting this photo out there for anyone to see. But in efforts of being honest and encouraging, it's here to stay. Because this is how I plan on holding myself accountable. There will be weekly photos so I can monitor progress and hopefully encourage anyone struggling with the same issues. So to be clear, I dont like what I see there. But I'm proud of it. Because believe it or not, there had already been progress made. And I really look forward to the photos weeks later that I DO like. 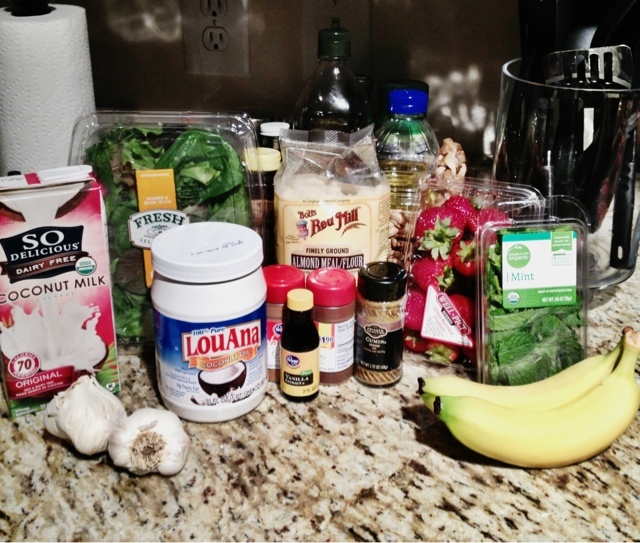 Pictured here are some of the essentials: coconut oil, almond flour and produce. 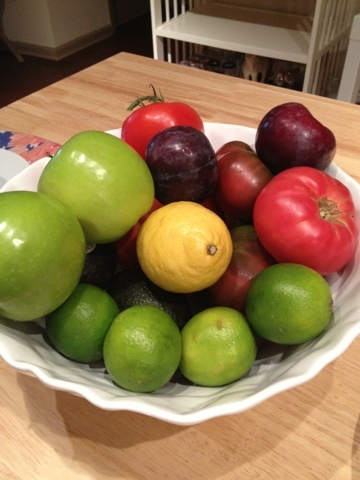 Speaking of produce, I quickly learned to load up on all the goodness I could find. My mom and I hit up every farmers market in sight where I scored so much fresh fruits, veggies, eggs, etc for dirt cheap, I probably got too excited and over shopped. 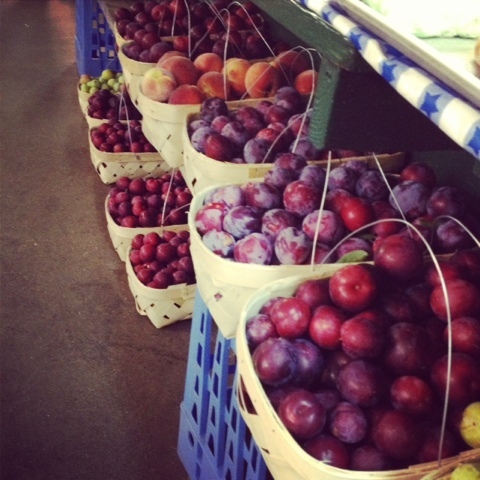 But how can anyone see a basket of gorgeous plums like those and pass them over? They are unreal!! So what have I made that I like so far? 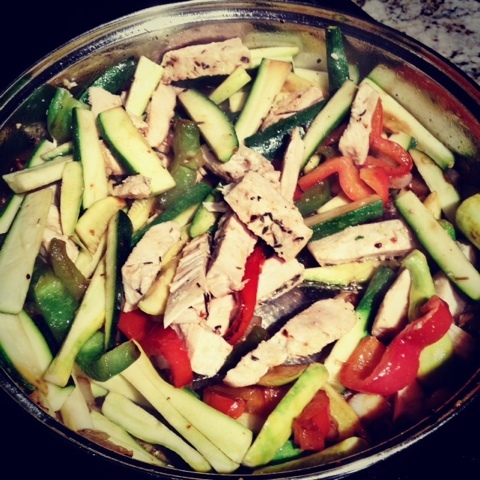 Lemon herb chicken with fresh zucchini, squash red and green peppers. So easy and so good. I even threw some on a salad one day for lunch to change it up and it was to die for. 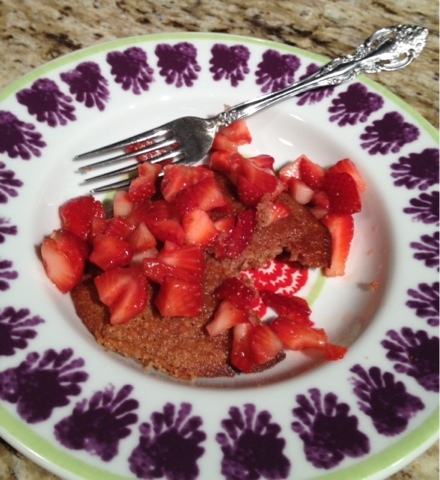 Strawberry shortcakes that are now my obsession. Grain free and you would never know!! Farm fresh eggs for breakfast. 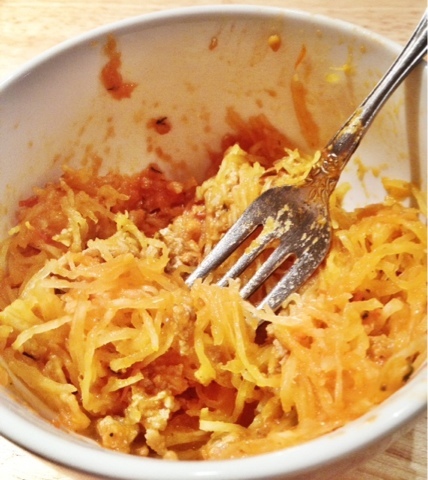 Spaghetti squash with homemade tomato sauce and ground turkey. And ps, heirloom tomatoes are beyond perfect for making a homemade sauce! If you want recipes or meal ideas, hit your girl up and I will be thrilled to share. So ten days in, how do I feel? So good! The blood sugar issues: already gone. Jeans are starting to be loose. Sleep is at its best. The list goes on. So to be candid, week one was hard. I was hungry! I would think about my next meal about an hour after eating. I felt sorry for myself. I felt deprived and bored. But I kept pushing. And I insisted on finding new recipes. And I cooked a lot. And now? I don't feel hungry all the time. I dont think about food constantly. I don't crave junk. I look forward to heathy meals. So that's where things stand. I'm not an expert, but I'm making it work and enjoying it. Good for you! 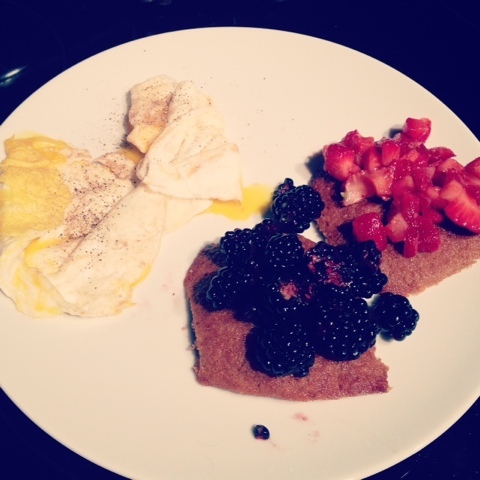 I don't do paleo, and probably never will, because let's be real, I like my grains and such. But a good rule of thumb that I follow is to do 75% or more of my grocery shopping at farmer's markets and the outer edge of the grocery store, and only venture into the center aisles for flours, sugar, and other necessities. No store-bought cookies, crackers, etc. and I (sadly) gave up the Kraft a long time ago. It's helped to keep things off my waist-line while I still get to indulge on the baked goods. Anyway, my hat's off to you. Giving up the processed food addiction is such a struggle! Can't wait to follow your progress!